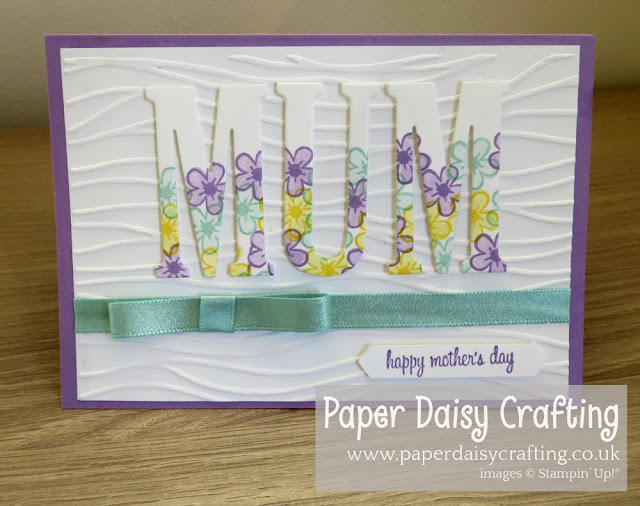 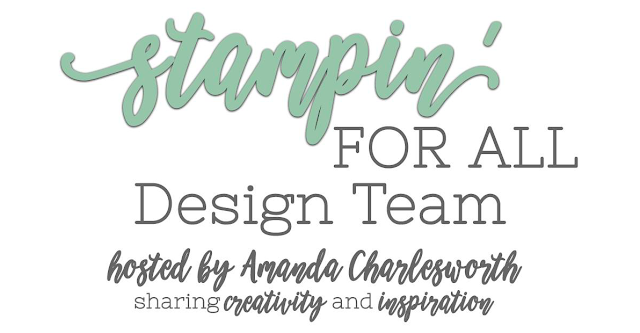 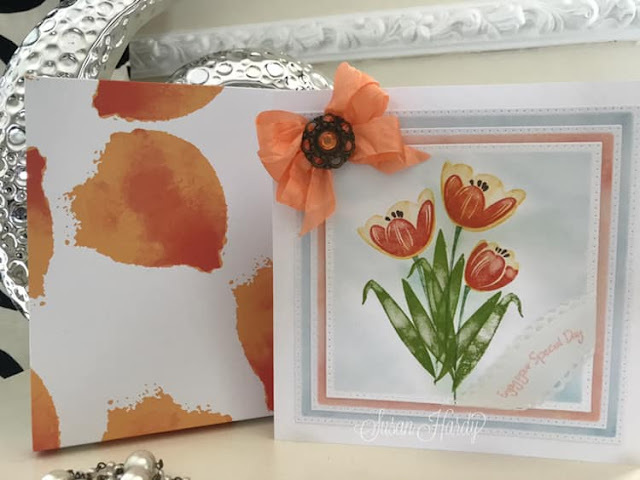 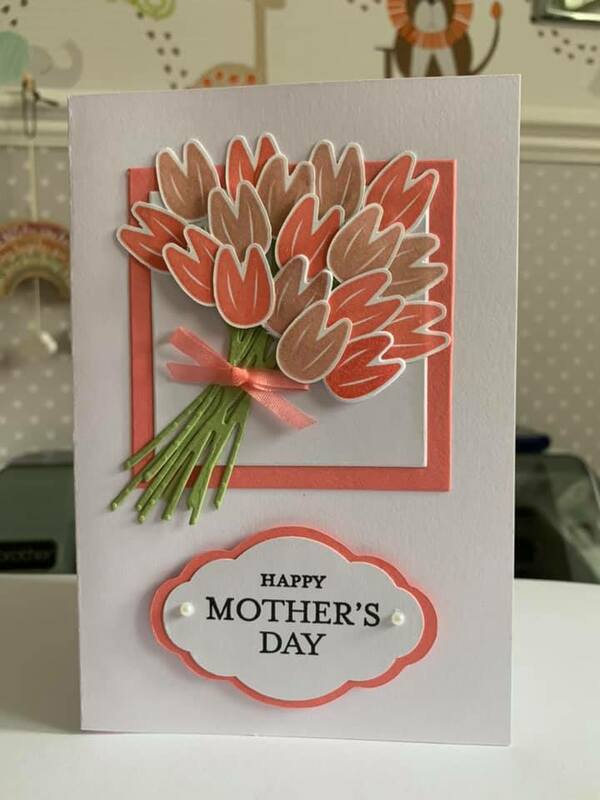 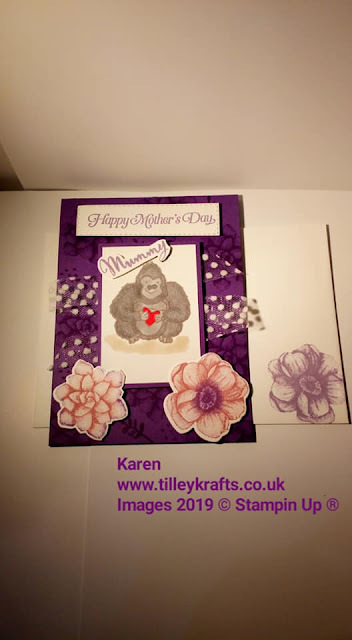 Last Monday it was my turn to set the challenge over on the Stampin' For All Facebook page and the theme was "Mother's Day". 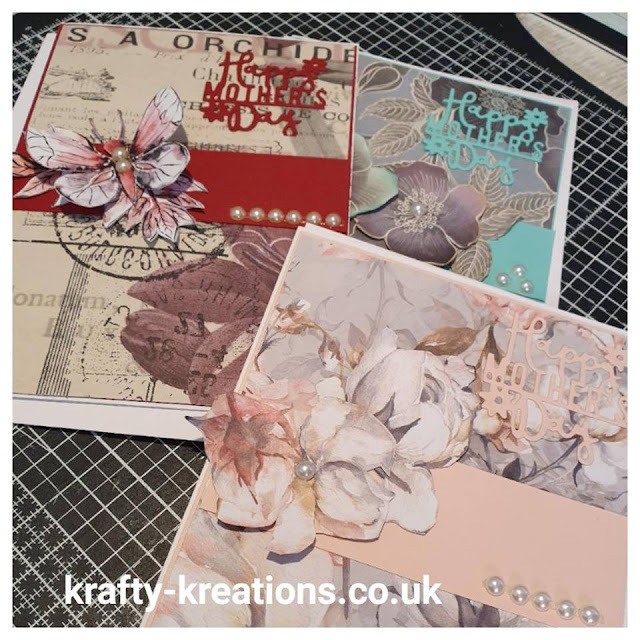 If you'd like to join in with any of our challenges just pop over to our group HERE. 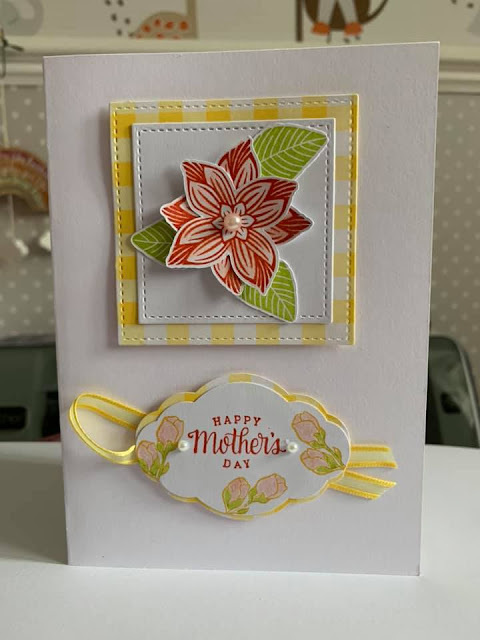 This was my inspiration for the challenge. Laurie has used lovely printed vellum paper for the background of her card. Pam entered the challenge three times. This first one, above, was inspired by Gez Carpenter, using the Petal Promenade papers. Here is Gez's inspiration card. 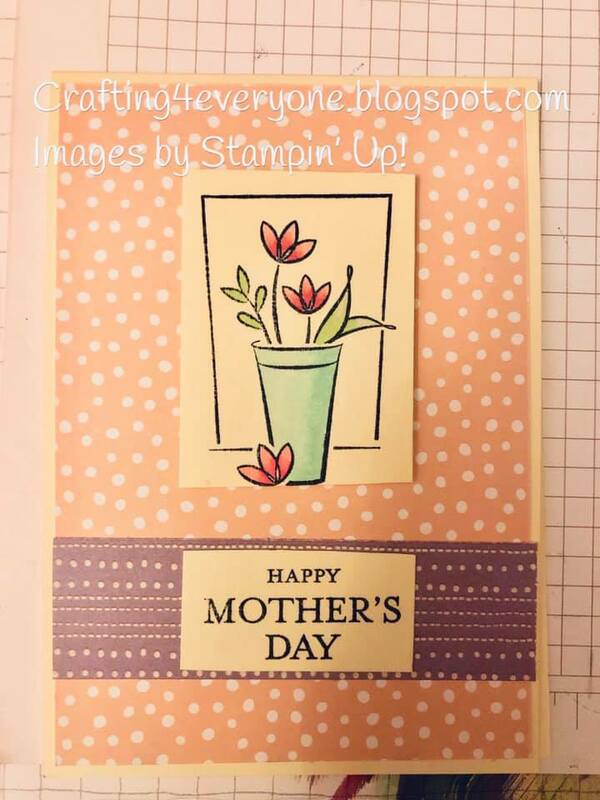 For this one Pam has used the Pop of Petals stamp set and punch. 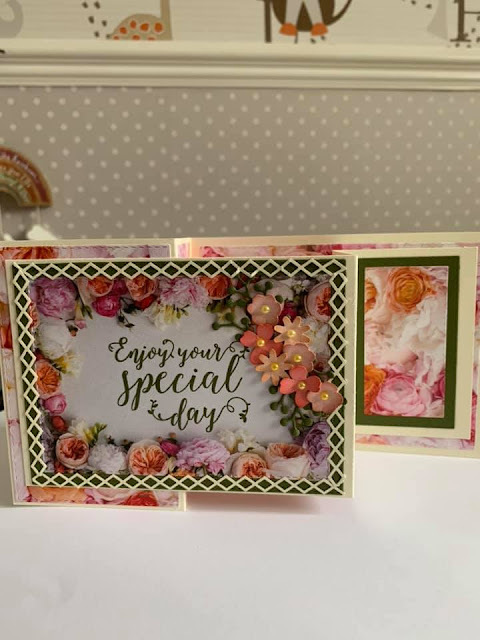 Lovely fresh colours! 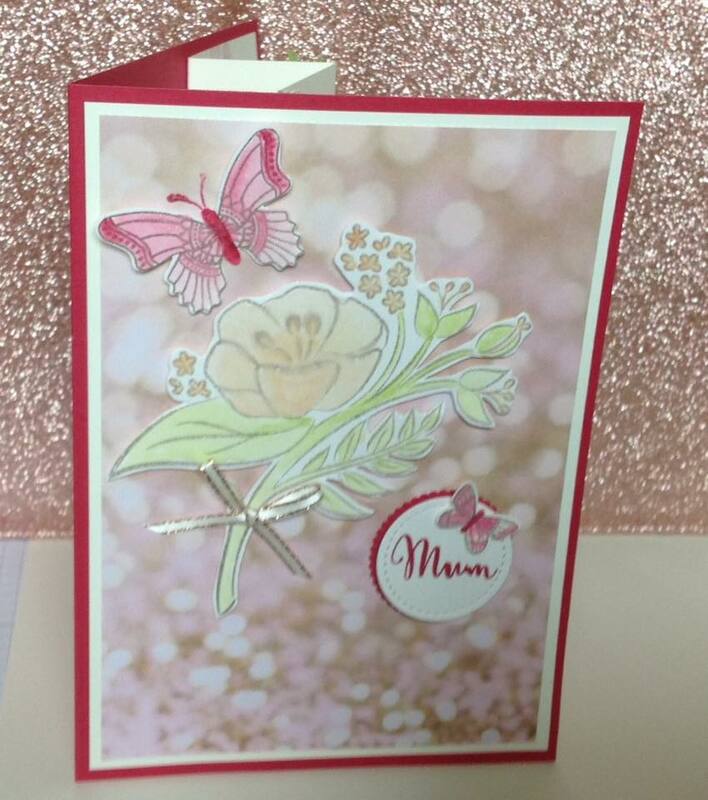 And for her last card, Pam has CASEd my card but has used different colours! 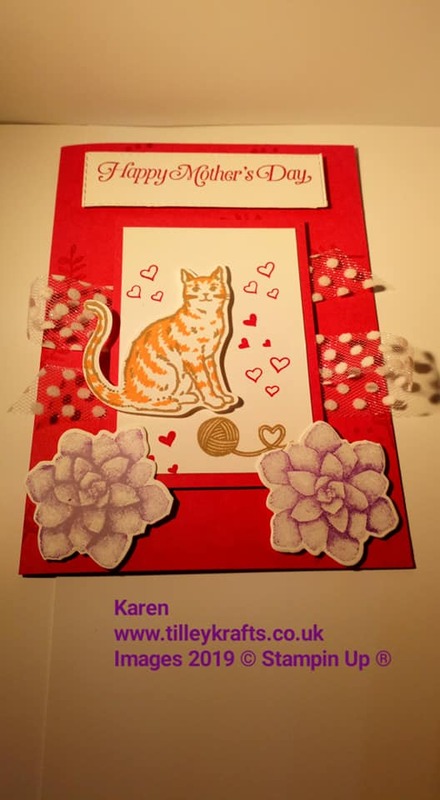 A great card for cat-loving mums! 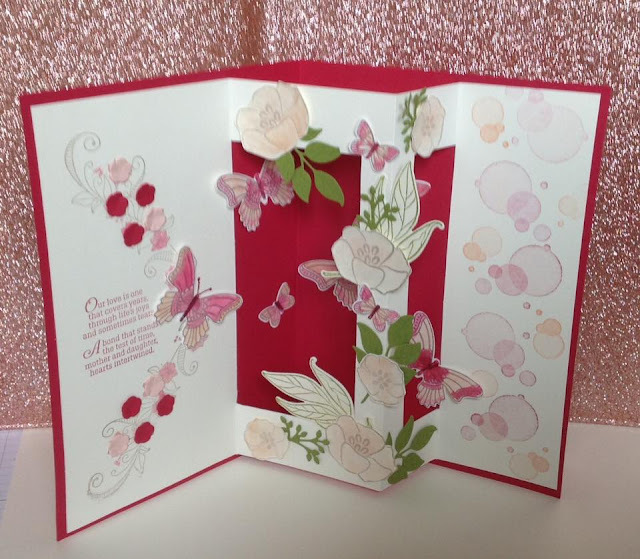 Beautiful pastel colours on Carol's card - and this is the stunning inside! Such a wonderful array of cards! 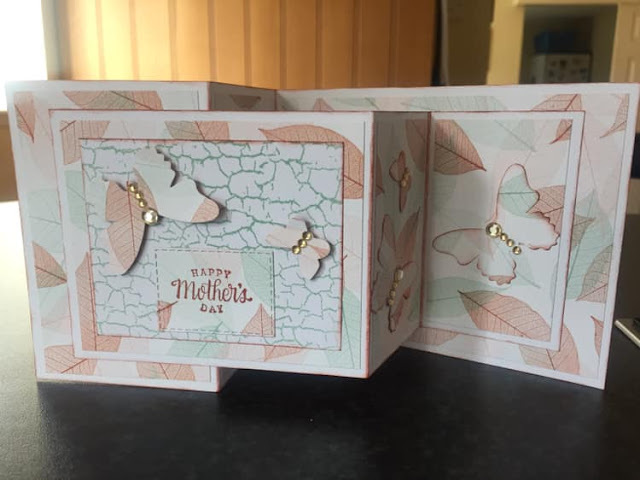 Hope you have enjoyed seeing them. 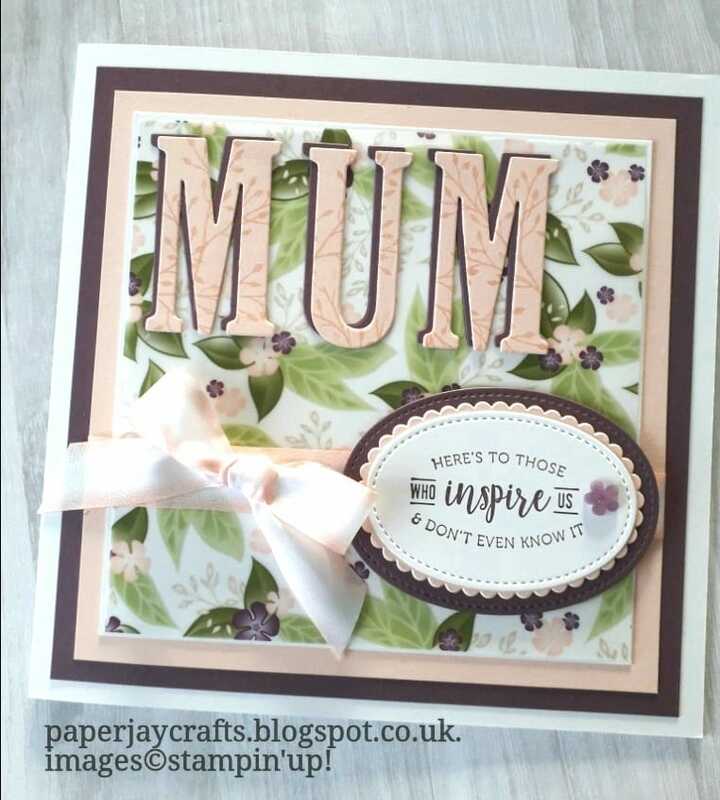 And whatever your situation, hope you have a fantastic day on Sunday!